About 25mm long and 18mm wide, this roughly egg-shaped spice can be bought whole or ground for flavouring both savoury and sweet preparations. 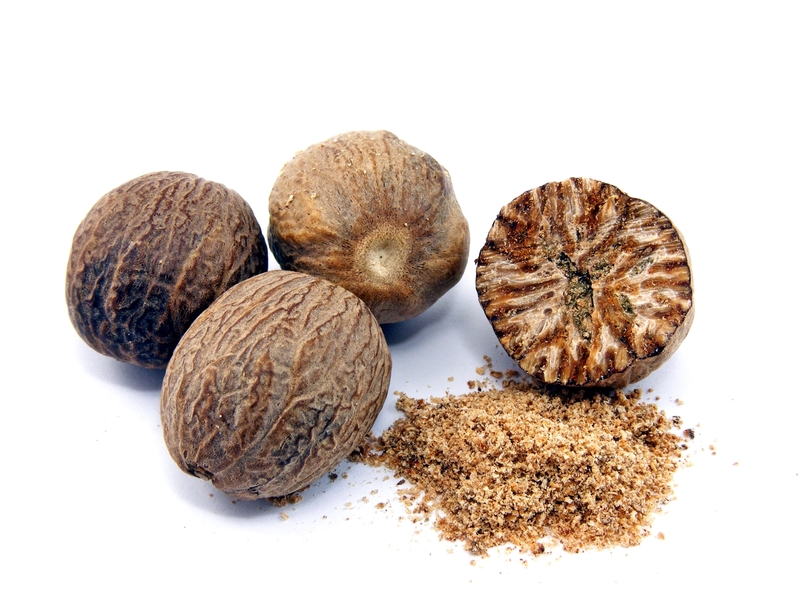 Ranked as one of the top five spices used in Caribbean cuisine, nutmeg adds a zesty finishing touch to eggnog, puddings, sweet sauces and peanut punch. Use in moderation, as too much of this spice will leave you with a bitter taste. Yummy fact: The Island’s prestigious Mount Gay rum punch is served with nutmeg sprinkled on top. Once referred to as radix zingiberis Barbadensis, this warm root plays with the cool freshness of pineapple in Barbadian dishes like candied sweet potatoes and pineapple chicken, or meat stews. 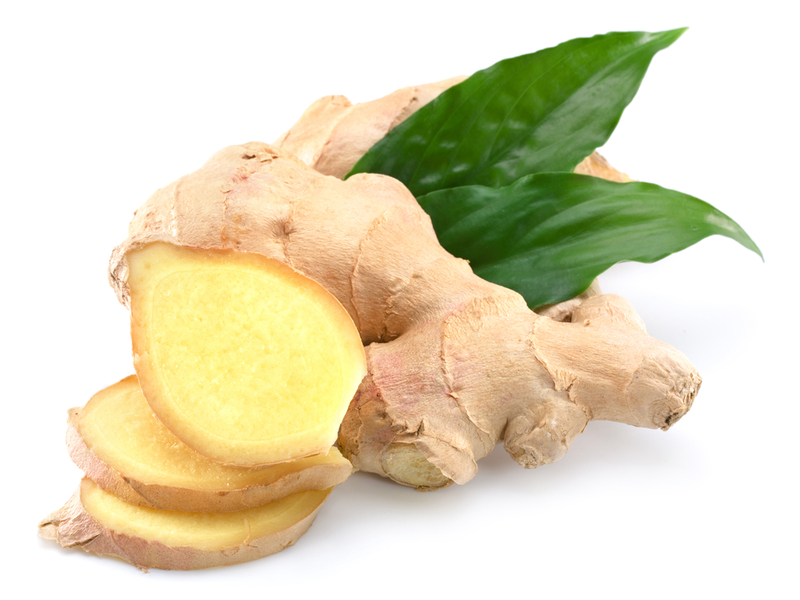 Although it’s best known for its use in making non-alcoholic, ginger beer, the powerful ginger root is traditionally used in making sorrel during the Christmas season. Useful fact: the root is used to brew a tea that’s effective in calming or soothing upset stomach, indigestion, nausea and warding off colds. 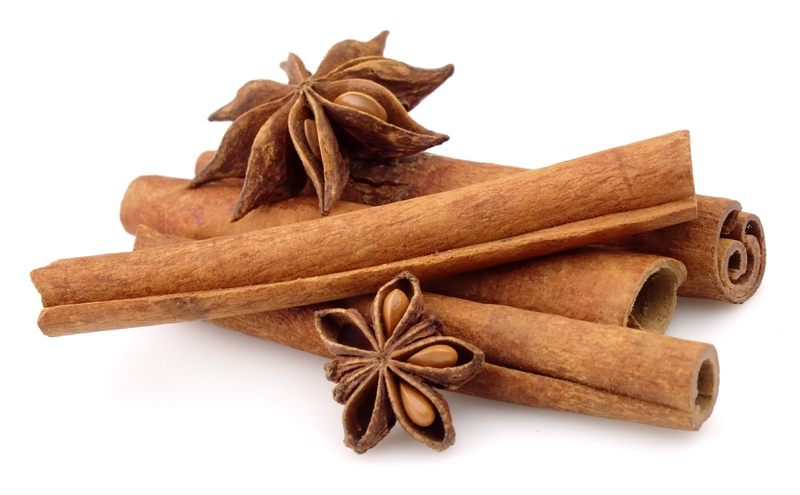 Tied rolls of cinnamon bark referred to as “spice” in Barbados add hints of flavor to any pudding, drink or dish, with the more popular being Barbados Spiced Rum. This aged molasses rum contains real herbs and other spices like nutmeg, clove-studded oranges and vanilla. It’s aged in casks for two years and is dry to the palate. Yummy fact: Cinnamon is added to cornmeal porridge and dumplings, which can be found in chicken soup and stew. This dried unopened flower bud resembling the shape of a nail is commonly used during the yuletide season. Locals insert a few to several cloves in their ham, with other ingredients, before baking. 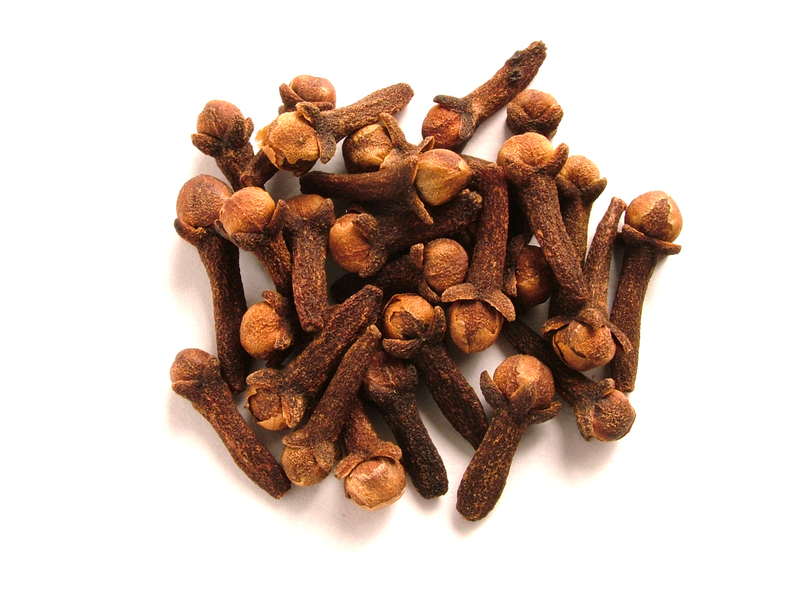 Extra, extra: Baking with cloves creates a pleasing aroma. Pungent in flavor, this popular culinary herb bridges the gap between milder spices and stronger seasonings. It’s a key ingredient in the traditional Barbadian rice and peas dish and our distinct Bajan seasoning. 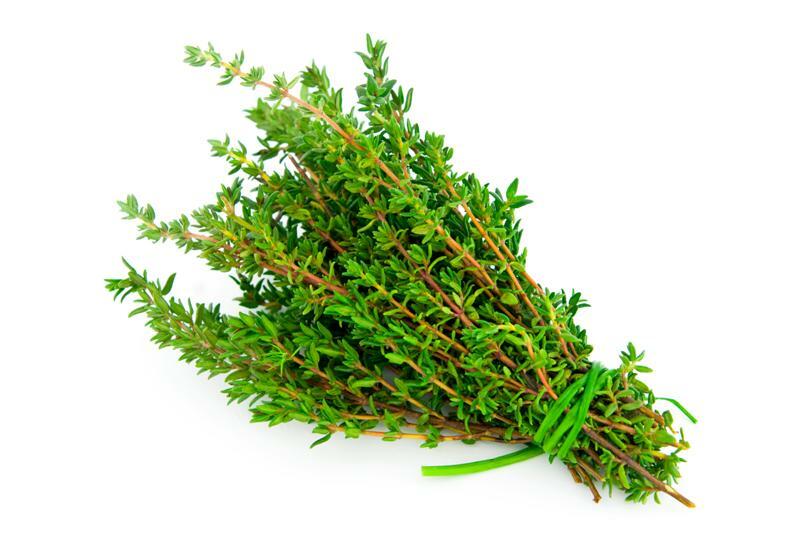 Interesting fact: Thyme’s flavor increases as it dries. 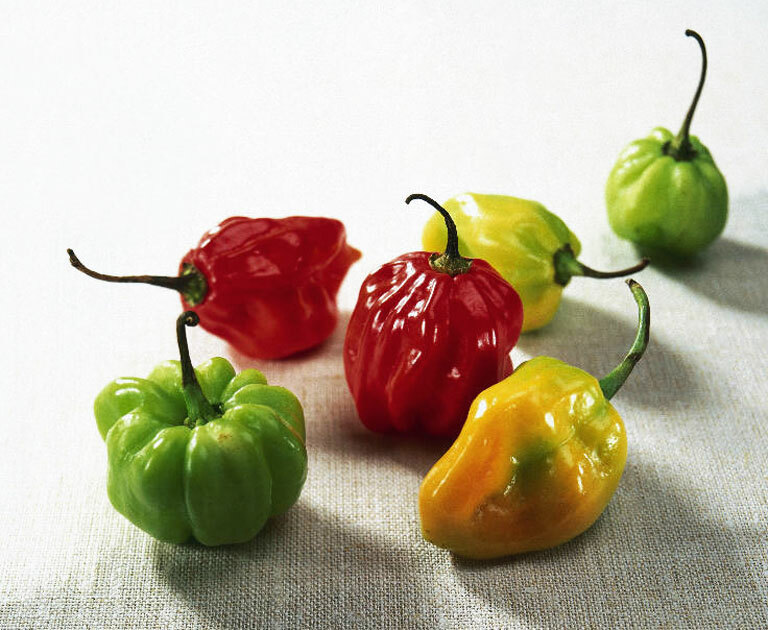 Called scotch bonnets for their wrinkled crowns, these peppers are considered the hottest in the world and are mainly used in our few jerk dishes and Bajan pepper sauce. With their distinctive aroma and fruit pulp, the little peppers look like walnut-sized lanterns and come in various colours. Caution: Don’t be fooled by their size when handling this chili pepper, it is best to wear gloves and avoid touching your skin or eyes to avoid possible burning. Nice informative post, thank you and thank you for following my blog too. Thank you as well for reading and supporting our post, please stay in touch. Cheers!